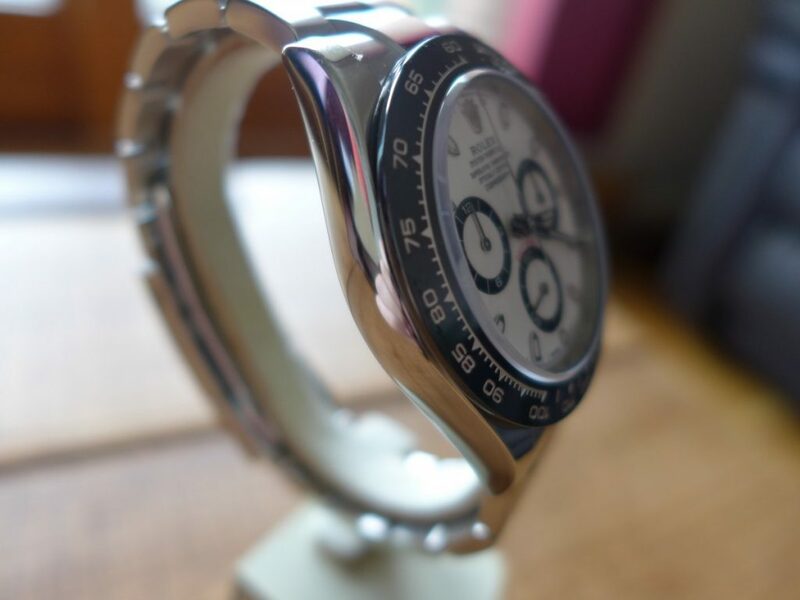 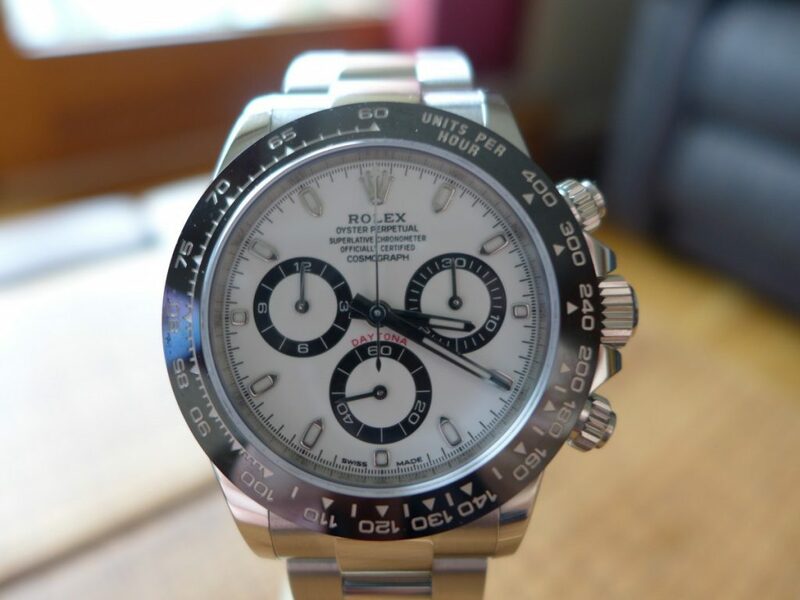 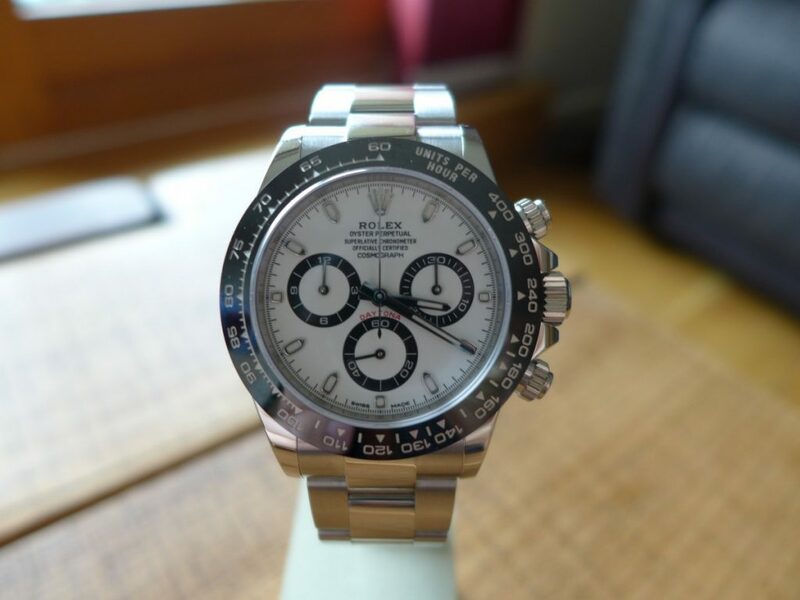 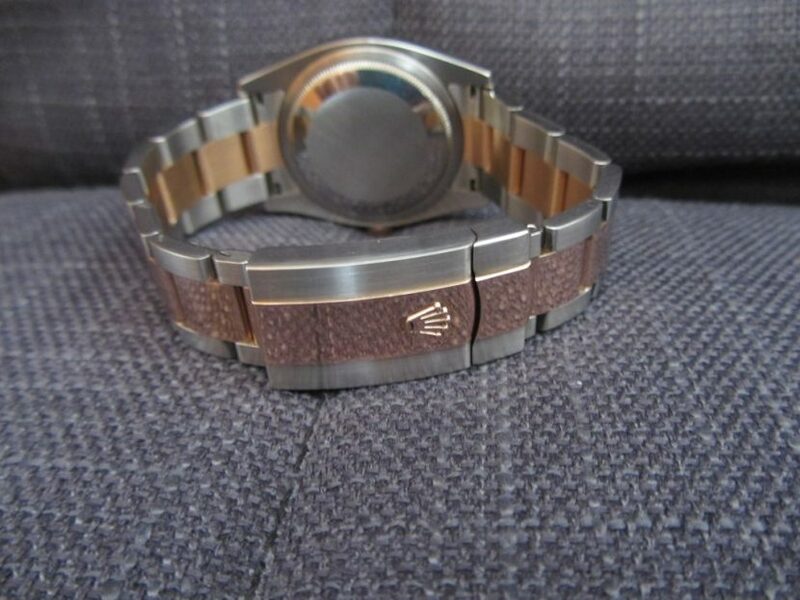 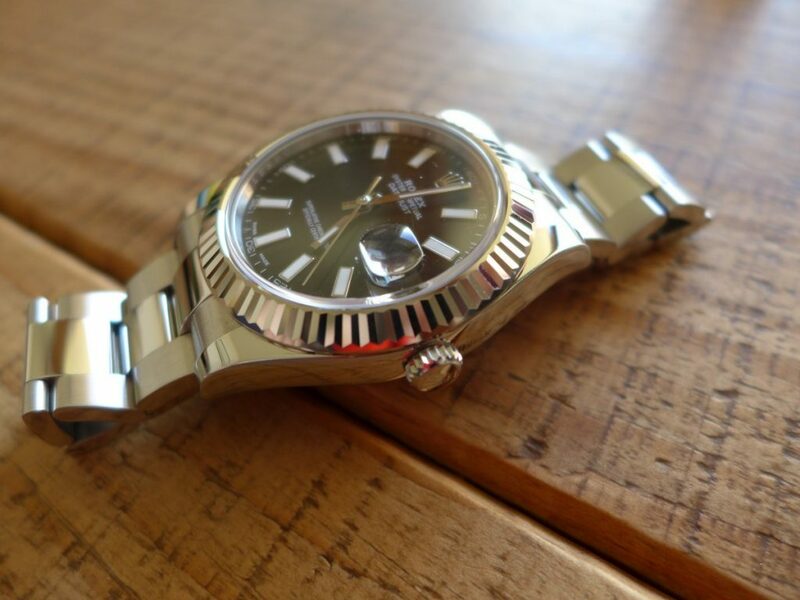 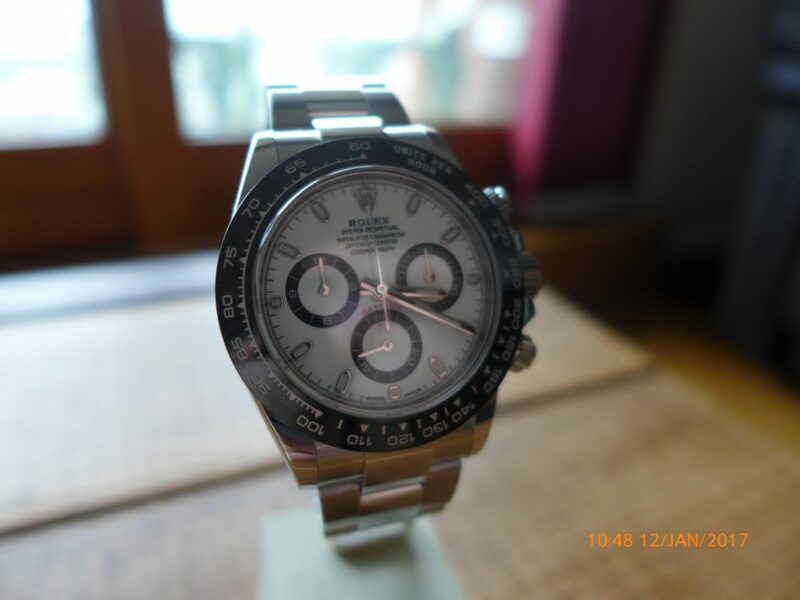 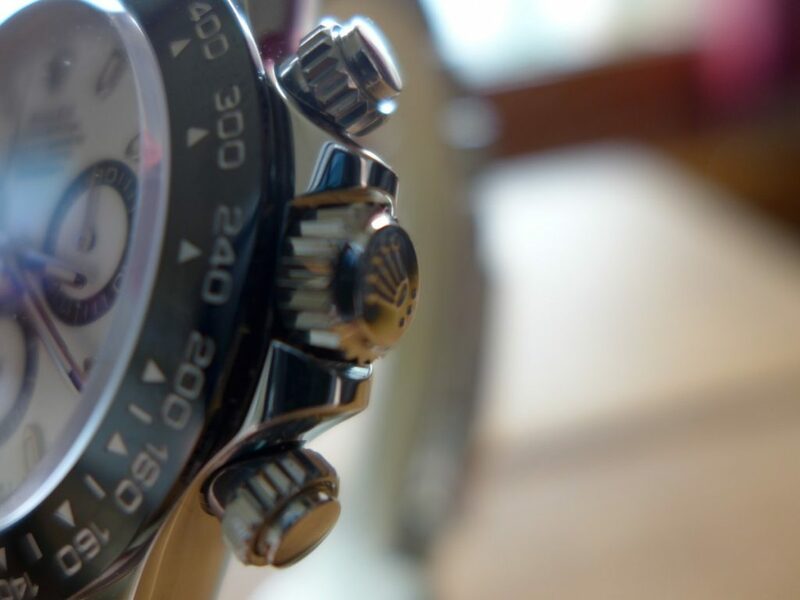 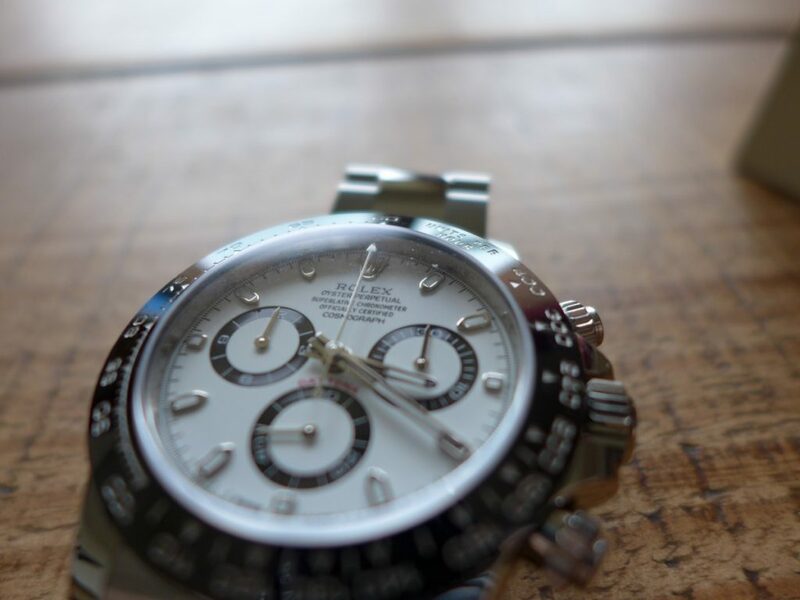 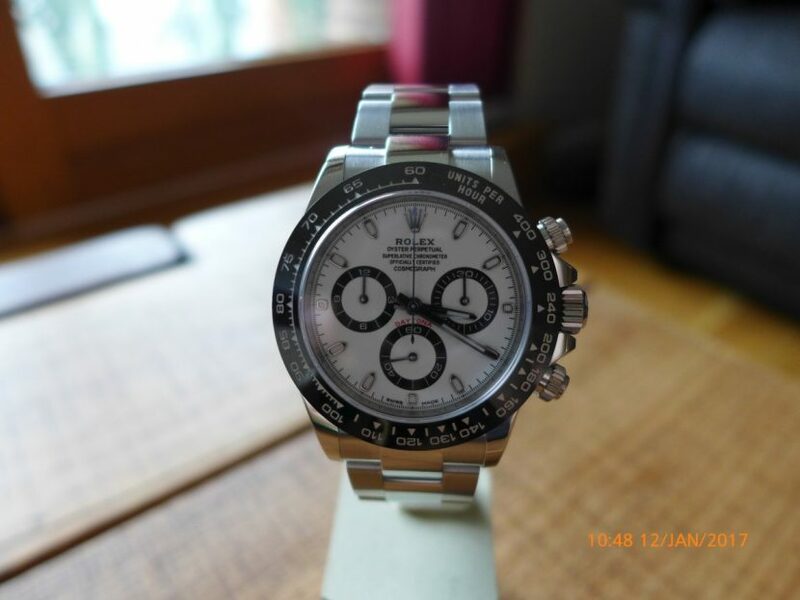 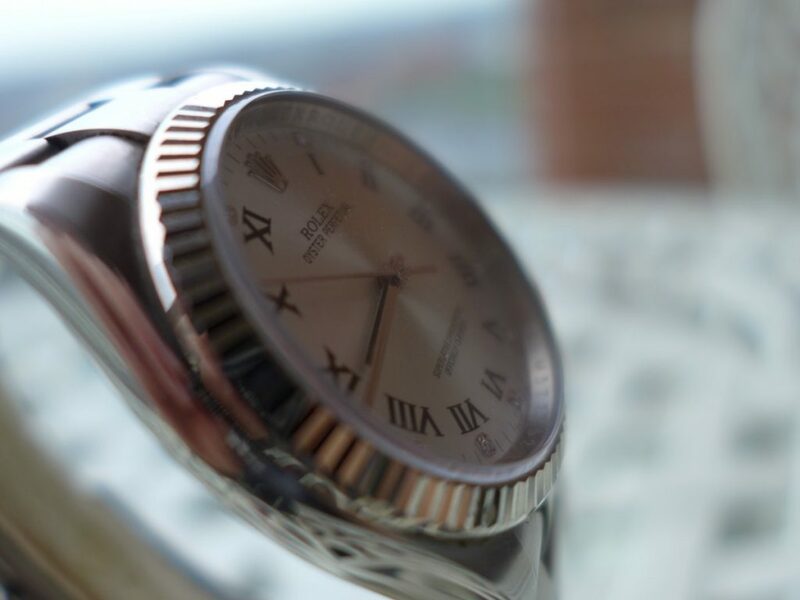 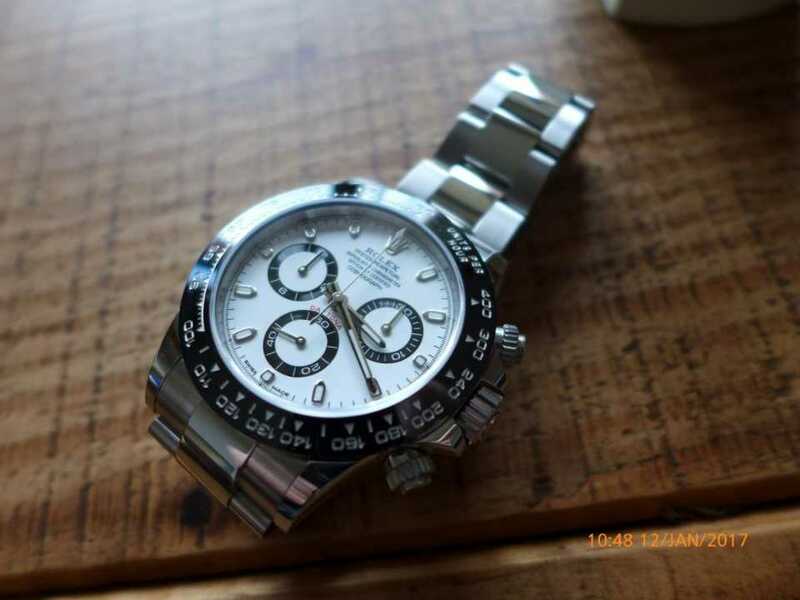 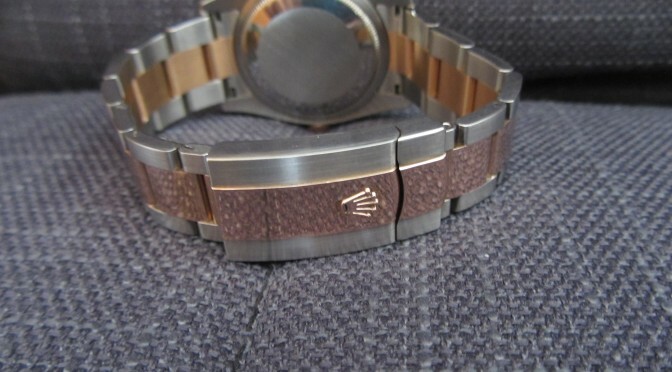 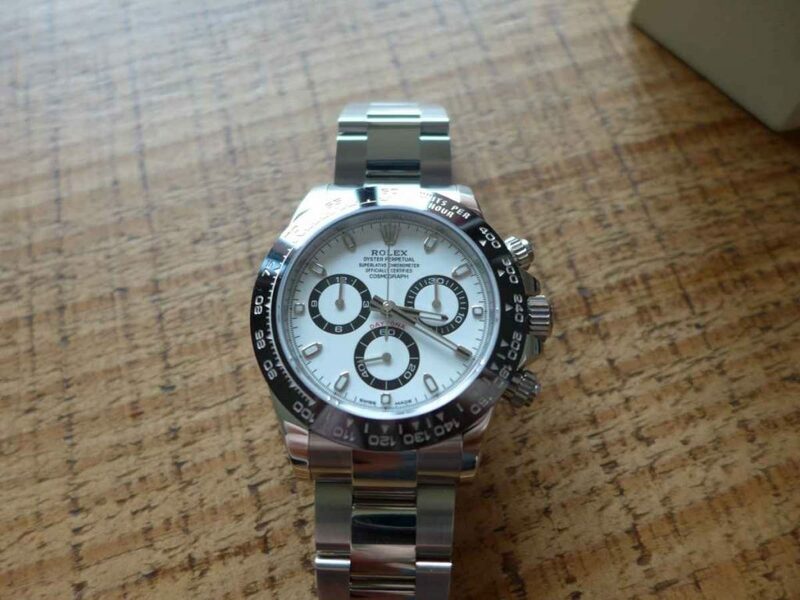 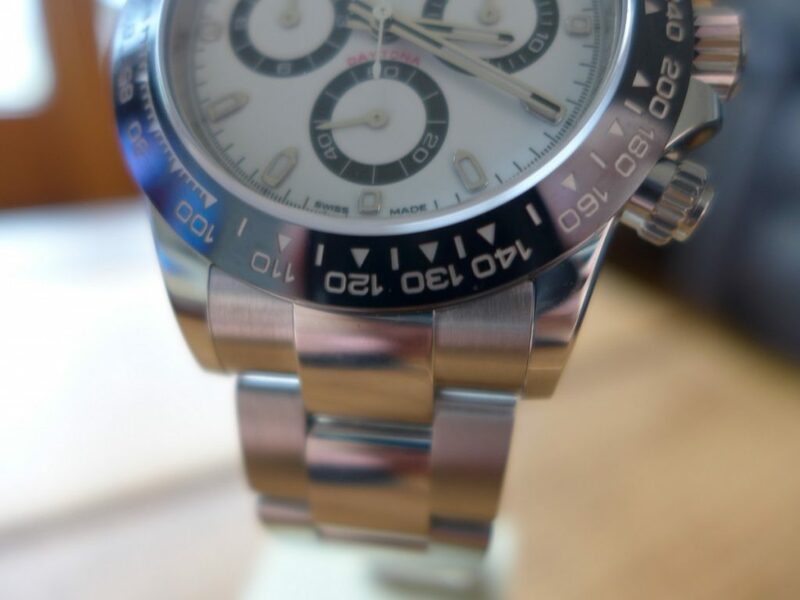 I thought i would blog about a few of types of bracelets Rolex use mainly oyster and jubilee, sports Rolex’s are oyster full separate links and jubilee on dress watches which are more smaller loose links but they did mix and match from time to time. 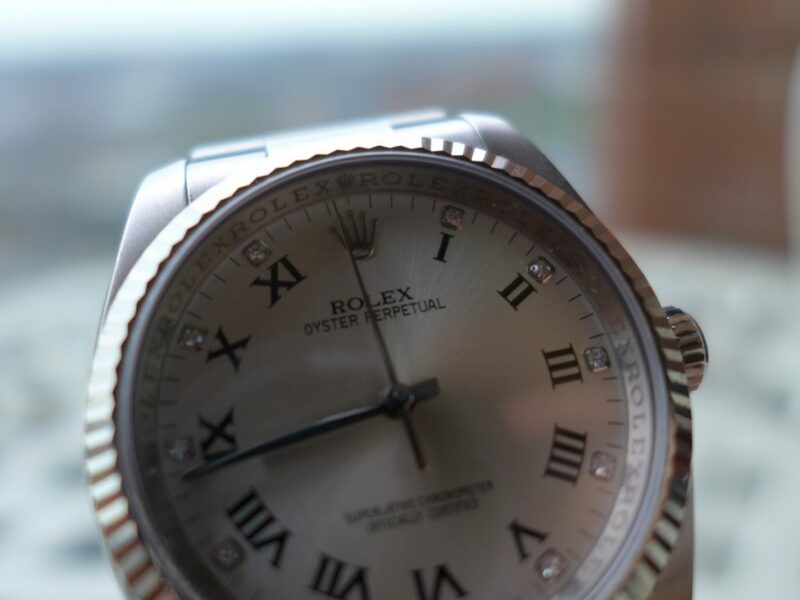 There all optional if you really wanted. 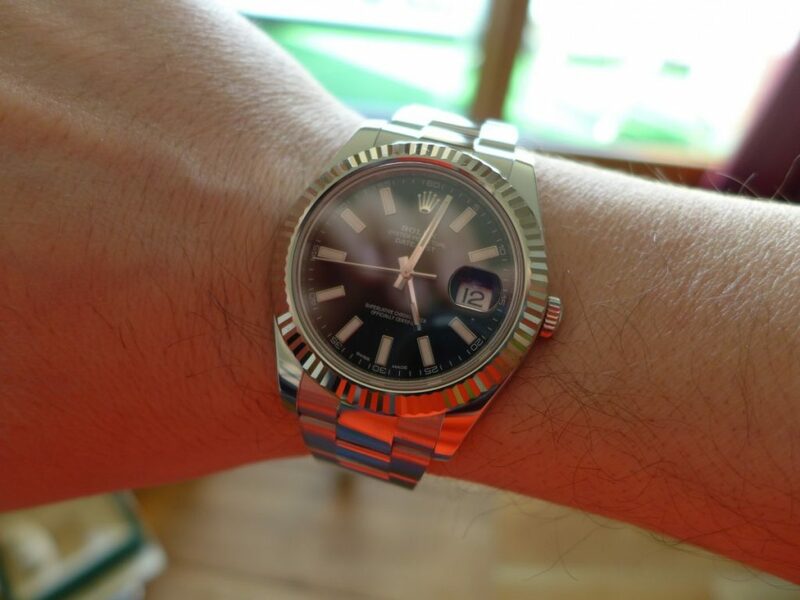 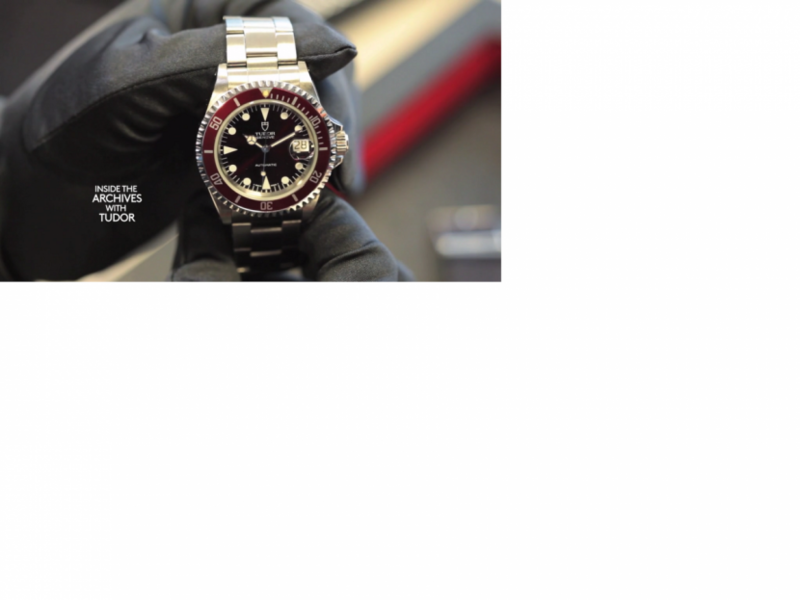 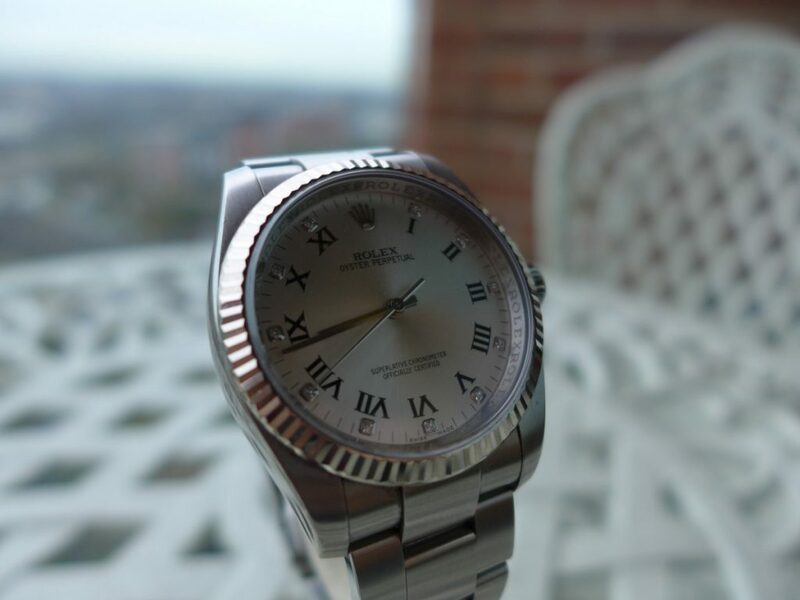 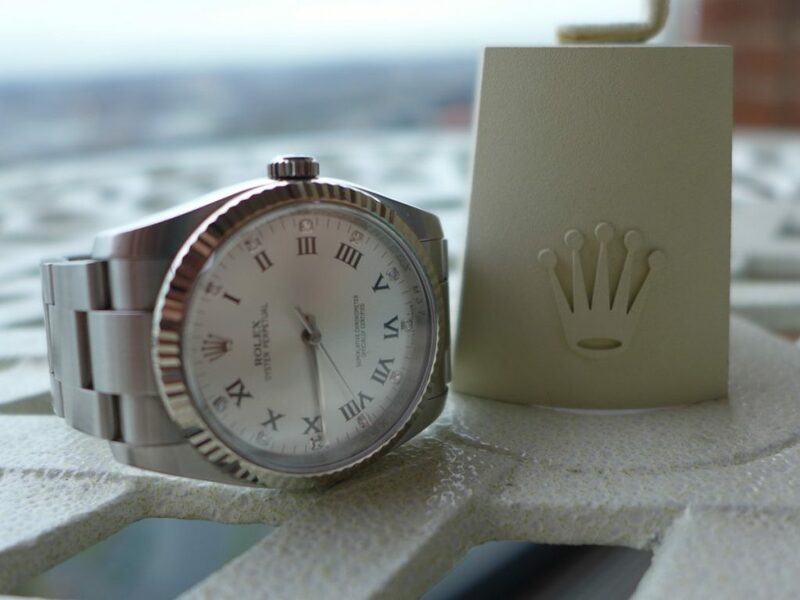 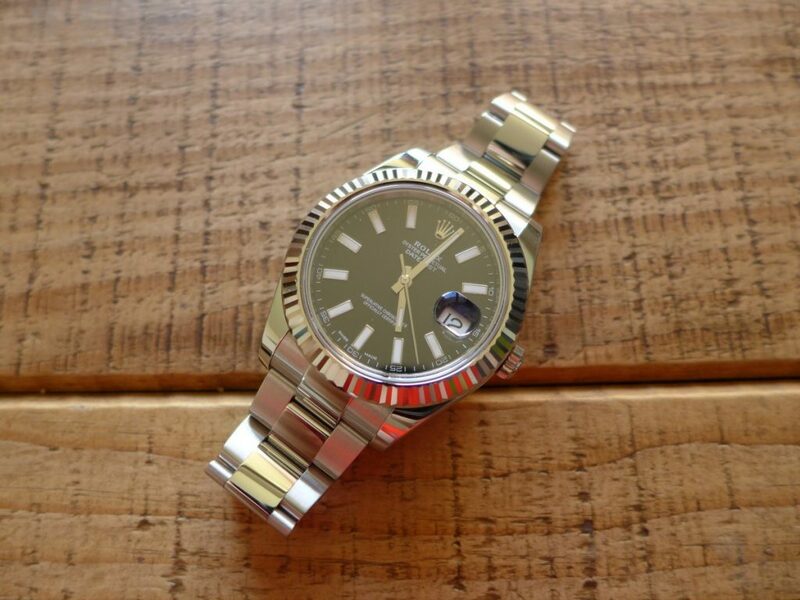 First is the stainless steel oyster in the picture comes fully brushed effect on Rolex Submariners up to around 2008 with not many changes over 50 years just slight modifications. 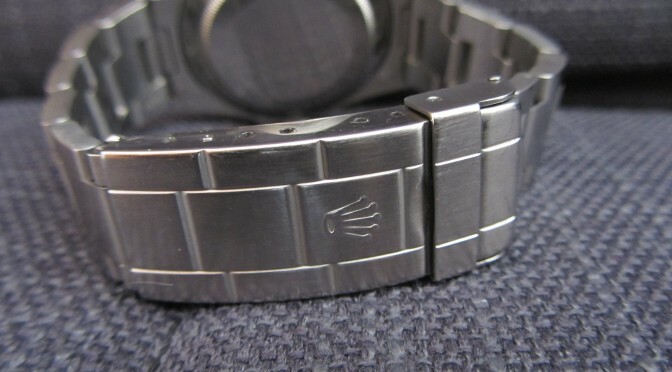 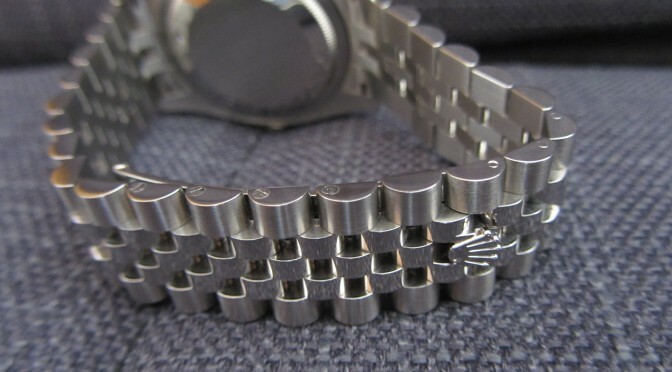 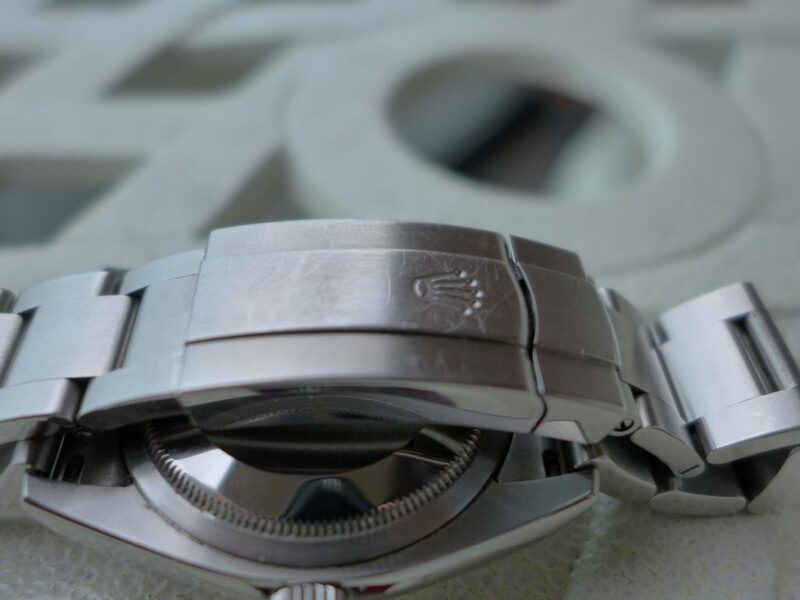 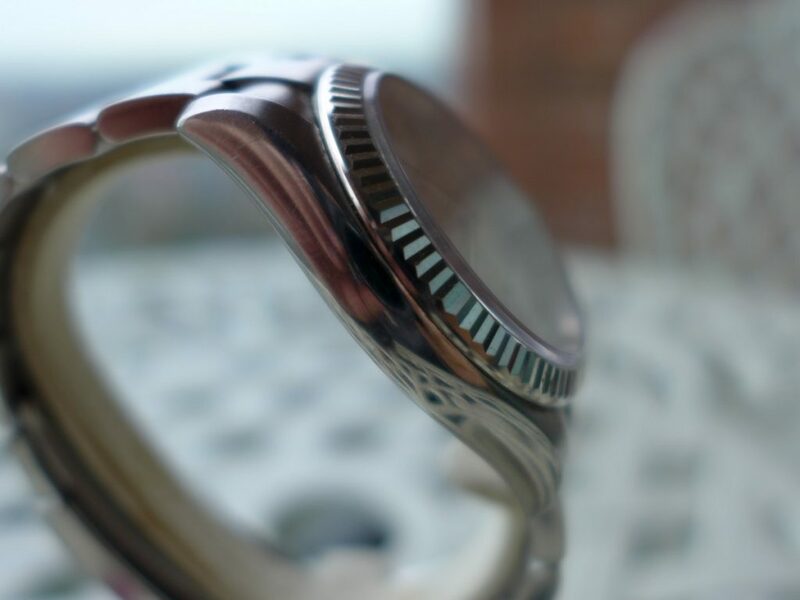 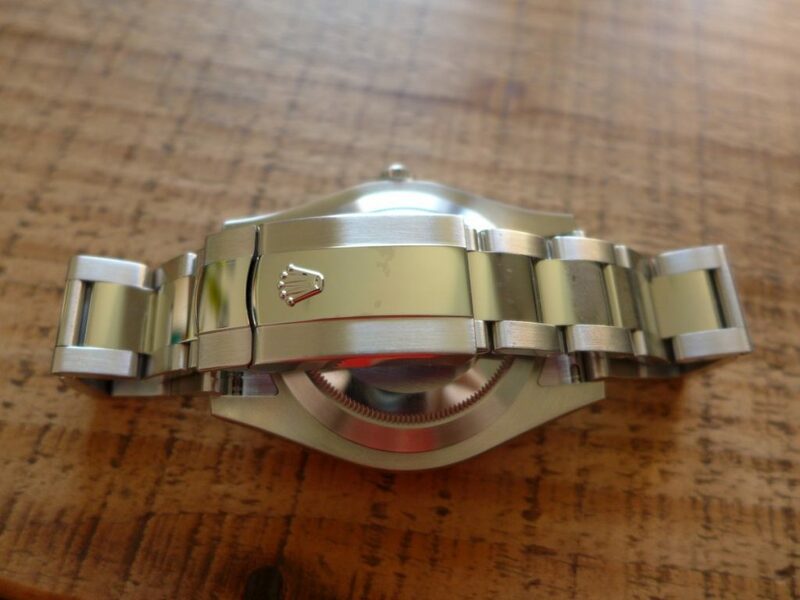 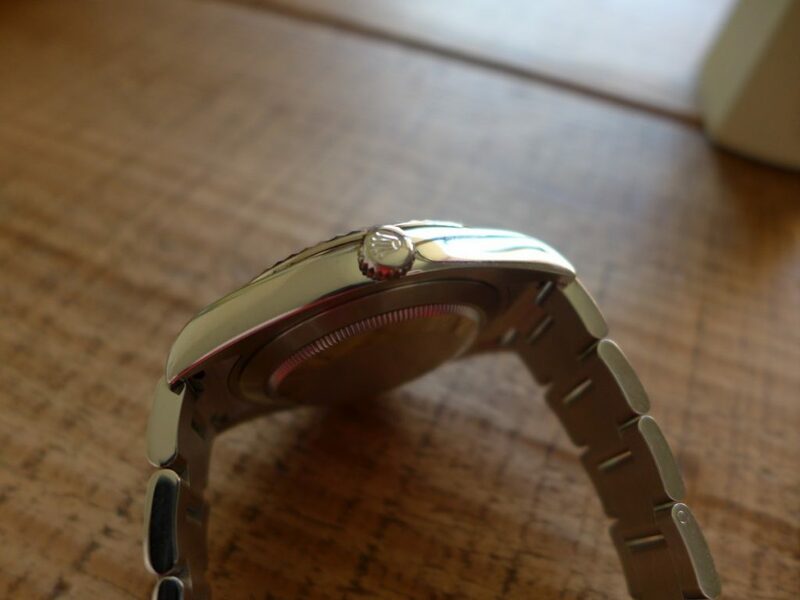 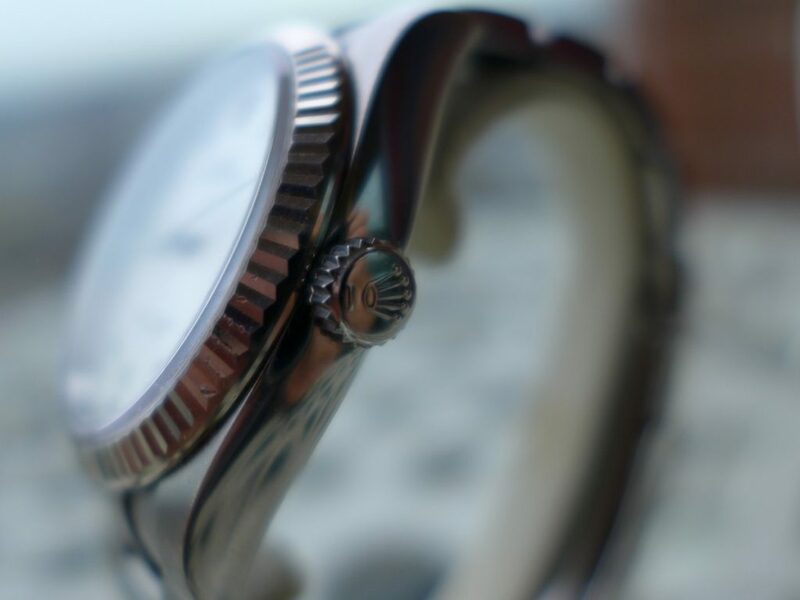 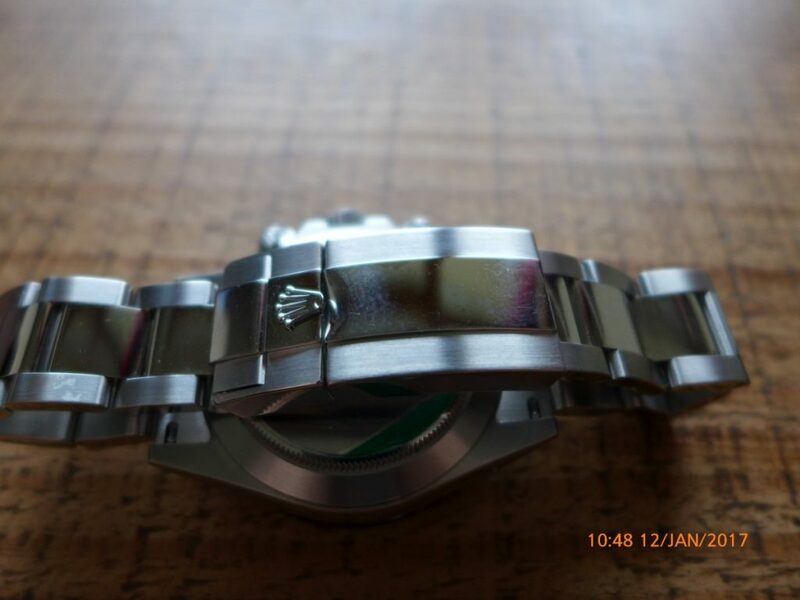 Second is Jubilee Bracelet in stainless steel comes on a lot of datejust’s but this as a concealed clasp version brushed on the edge polished silver in the middle, much nicer rather than the standard type clasp. 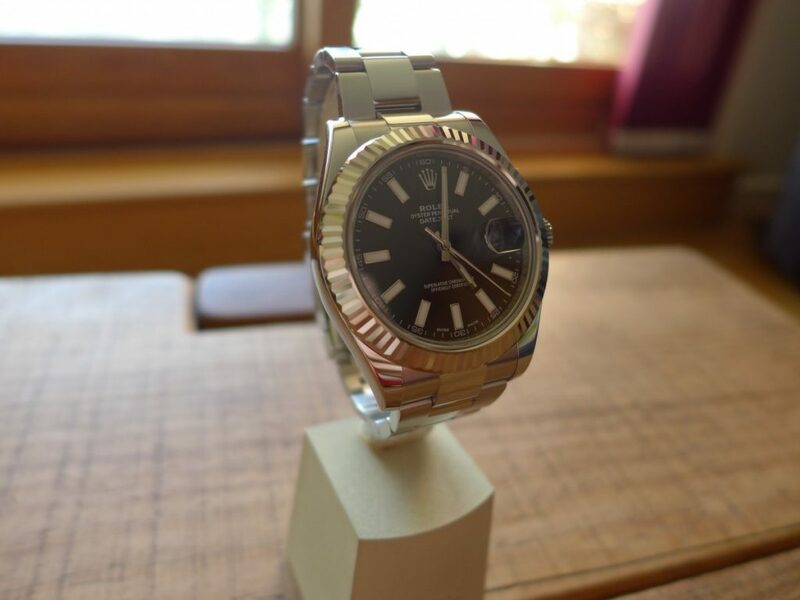 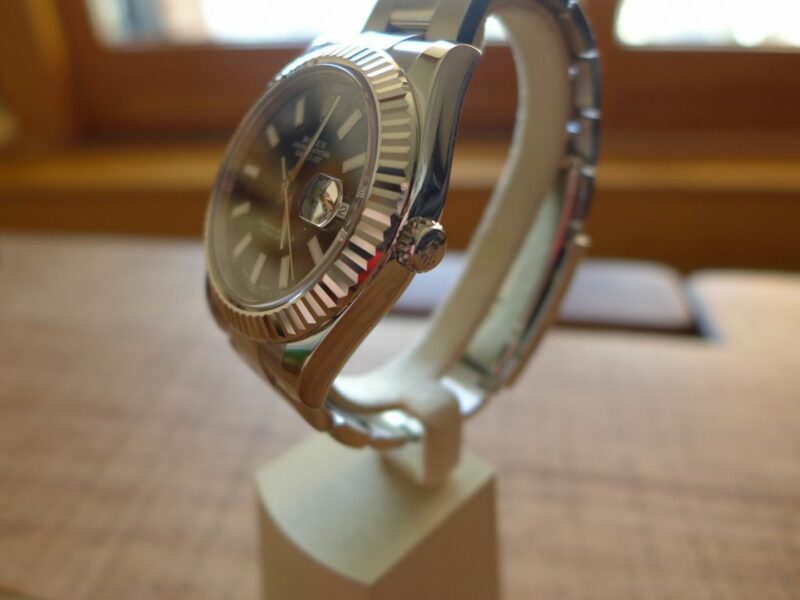 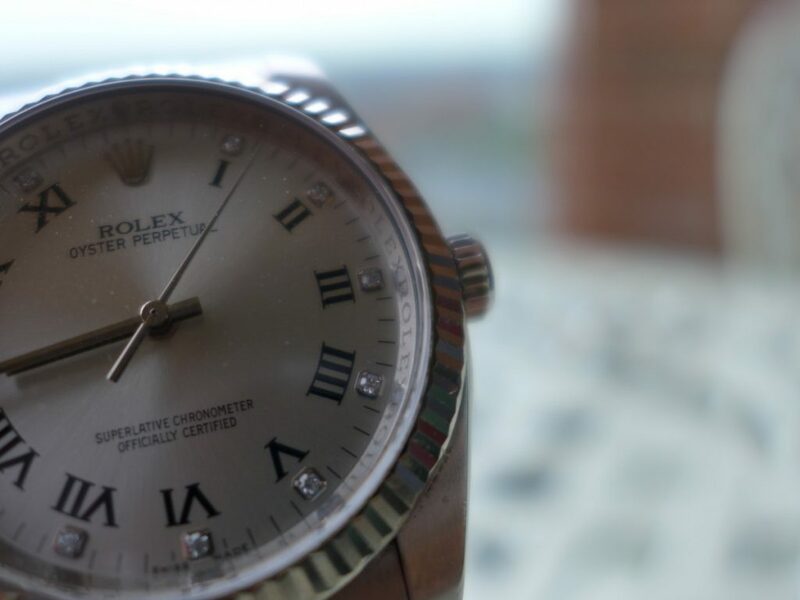 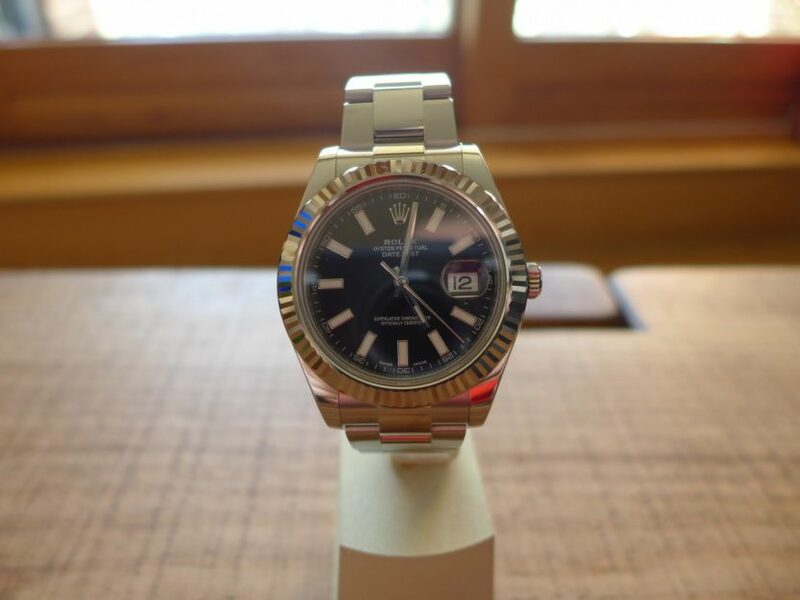 Third is a Rolex Oyster 18K rose gold and stainless steel, this one comes on 2009 datejust’s very nice thick not flimsy at, all brushed on the edge polished in the middle. 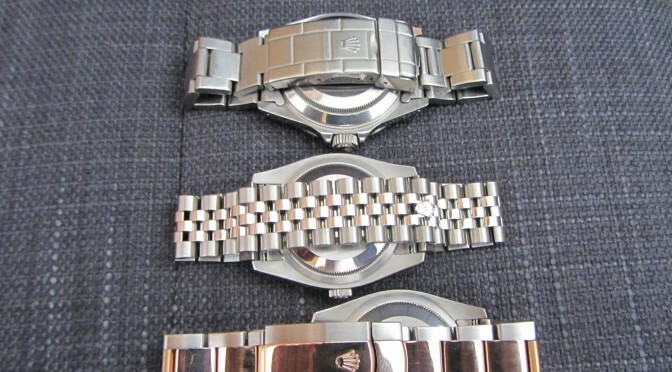 Here is all 3 bracelets side by side.